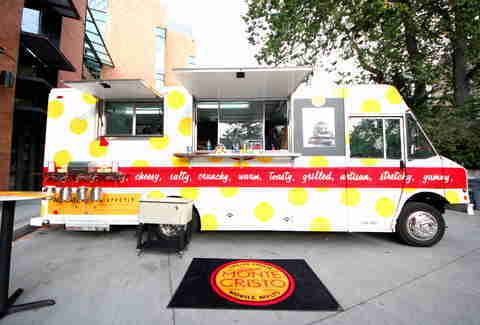 The Count of Monte Cristo is no longer just an underrated film starring a guy whose brother averaged 3.6 ppg at the University of Washington in 1991, because it's now also "five" -- as in the number of next-level grilled cheese sandwiches being turned out by the yellow polka-dotted food truck Monte Cristo, helmed by a sweet Seattle chef recognized by James Beard back in 1999. 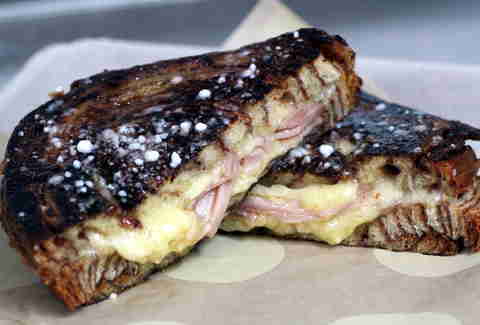 The cheesiness starts with the Grafton cheddar/ New Moon jack/ gruyere Classic on Macrina brioche w/ spiced blueberry au jus; a "Full Monte” w/ Canadian bacon on battered Cinnamon-swirl bread; and the Samish Bay Shout Out that's either something like "repping Chuckanut Dr., son!" 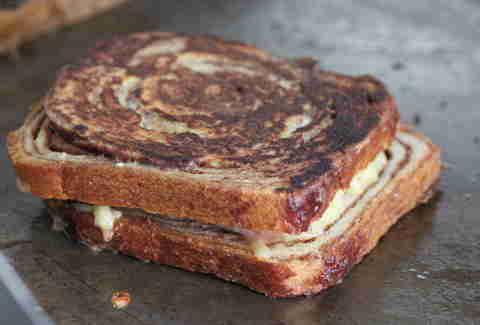 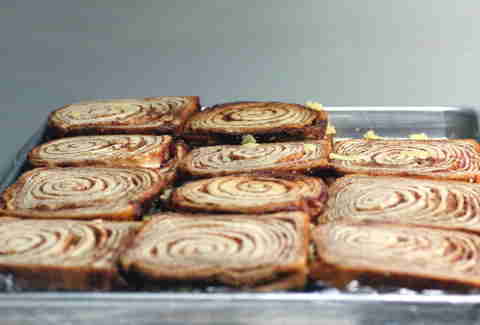 or a sandwich w/ cocoa-dusted aged Ladysmith, gouda & peach-jalapeño chutney. 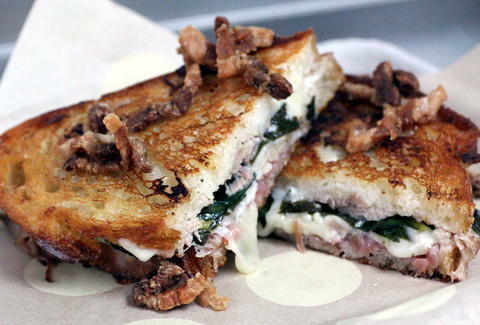 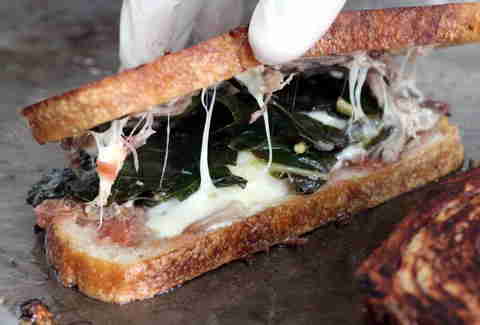 And if you're tired of eating cocoa dust, there's the over-the-top Big Messy Madness, which is what you call Corliss Williamson when he takes down duck confit, taleggio, fontina, & mozzarella topped w/ braised greens, lemon aioli, Deluxe Foods gingered rhubarb jam & cracklins... without a napkin. 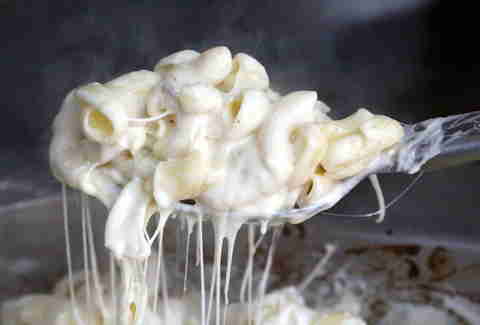 If you're still not satisfied, you may only be getting 13mins a game like Jim Caviezel's little brother, or you may just need to try one of MC's sides like lobster & tarragon mac and cheese, or fried Beecher's curds, which'll definitely put your appetite down for the, um, Count.